IBM SolutionsConnect: Blockchain – Beyond Finance « Tech bytes for tea? Disruption enables enterprises to cut costs involved in technologies whilst reducing the inefficiencies. Alan Lim shares how IBM Blockchain Labs can help you apply blockchain technology to make more efficient an application that is core to your business. If your business is based on a network of partners, dealers, suppliers and customers; and if your success is based on a system that can be disrupted; AND if you want to become the next disruptor, you should take a serious look at Blockchain technology. Enterprises can now leverage on the structured approach for an application or a system based on Blockchain tenets. Blockchain technology is suitable for any enterprise that involves multi-party, multi-layered transactions. “Blockchain is the next stage of digitisation,” said Raymond Wong – Country Manager, Software, IBM Singapore – during his welcome address for IBM’s one-day thought leadership conference (“Technology Leadership in the Cognitive Era”) in Singapore. Blockchain entails the principle of a shared ledger with shared data, leading to visibility of not only the entire history of transactions, but also the customer’s relationship data. Alan Lim noted that some US$1 billion has been spent on Blockchain technology, and that the investment is moving away from BitCoin specific to the underlying Blockchain technology. Lim is a Lead Software Architect with IBM Software. Enterprises do not work in silos, instead they thrive in business networks, generating wealth in the marketplace through the transference of goods and services. The key then is how to engineer trust among the various parties, especially when it is a challenge to monitor asset ownership and transfers/transactions. Blockchain technology is based on a concept of a decentralised consensus network, introducing replicated, shared, permissioned ledgers for transparency, whilst privacy is maintained by ensuring that relevant parties can only see what they need. “Traditionally, these ledgers are maintained by a third party or central clearing house, which is expensive and troublesome. The concept of depending on a central authority also introduces a single point of failure, vulnerable to fraud and cybercrime. Once the central ledger is compromised, the entire business network is compromised. Blockchain moves away from a central authority,” said Alan Lim, Lead Software Architect, IBM Software. Audit trails ensure “Provenance” since all transactions in the entire history is documented. “Immutability” is also ensured because once a transaction has occurred, you cannot go back to rescind it – the only way to modify a blockchain is to add to it. Furthermore, there is the element of “Finality” – every party has the same view/ledger so there is no room for disputes. Lim illustrated the concepts involved with a use case based on a food supply chain. He illustrated how the ownership and transactions involving a box of fish was tracked from the time the fishing company packed the fish into tagged boxes, to the shipper moving the box, and subsequently to the retailer and consumer; and even a government certifier that can look across various consignments. Along the way, IoT-based sensors feed pertinent data, such as maintaining storage temperature below a certain level etc into the blockchain so that these can be checked against contractual obligations. Lim shared that Blockchain technology can also be used for intangible assets such as patents, digital media, music, art, and even our personality eg. health records. IBM has adopted Blockchain technology in its Global Financing Business, helping it free up working capital for use in other parts of the business. In fact, the company is a member of the Linux Foundation – Hyperledger Project, having released some forty-four thousand lines of code that is currently available in GitHub. Editor’s note: Given the benefits of Blockchain technology, it is no wonder that it is becoming the top watch item for enterprises looking for the disruptive edge. 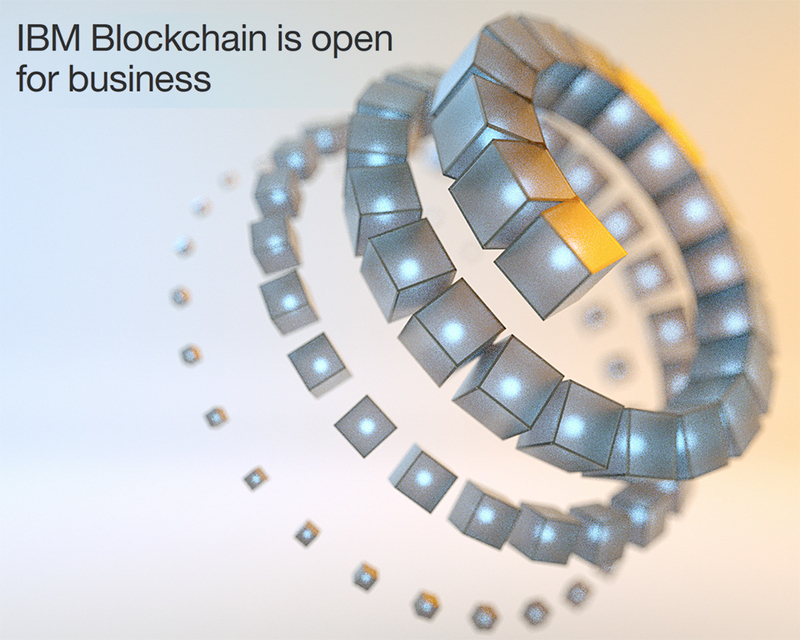 IBM provides cloud services for secure Blockchain networks, enabling secure key management, assurance level protection between environments, a highly available operating environment, crypto-optimisation and protection from host administrators. The company’s Bluemix platform offers Blockchain as a Service and allows companies to try out Blockchain networks with a click. With its clients, IBM offers Blockchain solutions through its Blockchain Garage teams, bringing business and technology leaders together to exercise design thinking and develop innovative products. This entry was posted on Thursday, June 2nd, 2016 at 2:00 pm and is filed under Blockchain, Business IT, Enterprise IT, Events, events, Howtos, IBM, Opinion, Reference, Seminars, Software, Technology, Wiki. You can follow any responses to this entry through the RSS 2.0 feed. You can leave a response, or trackback from your own site.